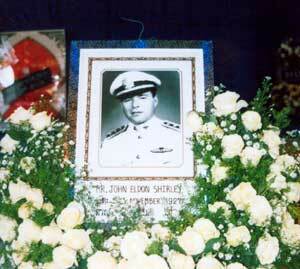 Having lost a brave fight against terminal cancer, John Eldon Shirley, long time resident of Thailand, was bid adieu by family and friends on Sunday April 20. Special ceremonies were held at his cremation at the Thamasmakee Temple in South Pattaya where those who knew him well and loved him came to pay their last respects. Jack, as his close friends called him, was a master of the 'game'. In the days when he worked for the CIA, the agency was shrouded in secrecy and cloaked in mystery. But after his retirement Jack generously shared his experiences with enthralled listeners. Some tales spoke of the tragedy of war, the absurdities of the system and the terrible suffering he observed. But he was also an astute observer of human behavior and never failed punctuate his stories with a pinch of humor and a philosophical slant. Jack resided in Thailand for 50 years. He was a repository for the history and cultural aspects of a region he truly loved. If we wanted to know something about what makes this country and its system 'tick', we asked Jack. He was often blunt and didn't pull any punches when it came to our society's failings. But in the same spirit of honesty he was a great supporter of ordinary Thai people and their unique national character. Jack was a true US patriot, of that there was never any doubt. But he loved Asia. As he once remarked, "Asia is in my blood." Jack Shirley was a complex personality. That's what made him so interesting. He had many friends and led an active life right up to the very end. He had incredible powers of rejuvenation which aided him in his long and bitter battle with cancer. And he was stubborn. After a fall which fractured his hip and required a surgical hip-replacement, in a matter of weeks he was walking without assistance and even driving in Pattaya's lethal traffic. Such was the make-up of his extraordinary strength of character and determination. 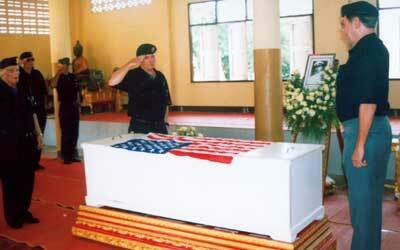 Saluting an icon - friends and family pay their last respects to the legendary former CIA official John Eldon Shirley. Those of us who grew close to Jack Shirley in his 'Golden Years' will remember him most for his enduring courage and his witty conversation. Jack was knowledgeable on many subjects ranging from politics, philosophy, and art, to literature and history and had mastered a number of foreign languages. A conversation with Jack Shirley could lead down some very surprising and interesting paths. One of Jack's favorite watering holes was a small but cozy bar called Shaky Pete's. Low-profile and located off the beaten track on Soi Batman, the favored round-table of the establishment is a gathering point of Pattaya's long-time resident expat community. At any given day of the week, one can drop in for a cold beer and great conversation; exchange information, gossip and plan community charity events. But when Jack arrived things got more interesting. We were waiting for the next installment in an inexhaustible repertoire of fascinating 'insider' tales of an era most of us had missed. Jack Shirley was born in the US state of Maine. His accent never betrayed that fact but it was always fun to ask him to mimic a few phrases that most exemplified the strange syntax of the US New England seaboard. Jack was definitely funny - blessed with an exceptional sense of humor. I realize a high-ranking CIA official must be tough as nails. But to those of us who were his close and dear friends Jack was above all, a soft-spoken gentleman, endowed with the good manners of an aristocrat - a 'class act'. I am the sunset in the West. Do no stand at my grave and cry. The author of this ode to the departed is unknown. But I think Jack would agree with the sentiment. Most importantly, Jack's friends all convey our deepest sympathy to his wife and family. We will miss him deeply and remember him with fondness.